Read Creative Director Sally Storey’s tips for creating the best kitchen lighting in this informative article full of “Bright Ideas” in Country Life. 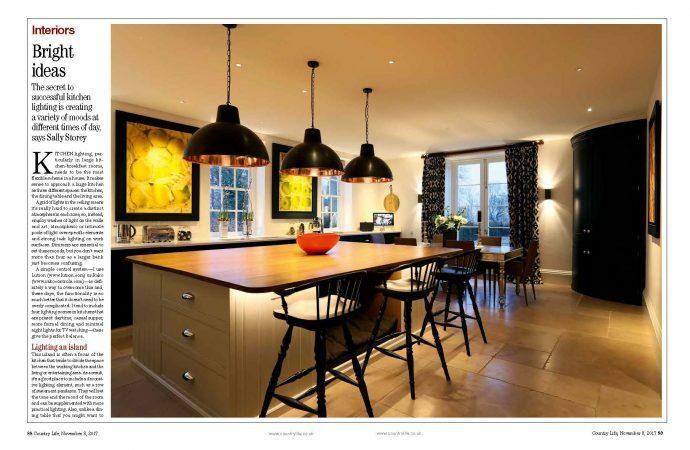 From how to light the kitchen island, to counter tops, how to add architectural lighting to lighting around the cooker, how to light cabinets and open shelves to the dining area, this interesting article will tell you all you need to know about how to achieve the best kitchen lighting. For further inspiration visit our Kitchen Lighting Project Showcase.